The class of 2020 has submitted their applications and admissions is sending out their decisions. Four years of hard work is paying off and, hopefully, many will make Wildcat Country their home. Why wouldn’t they? The University of New Hampshire is an amazing place to live and learn. 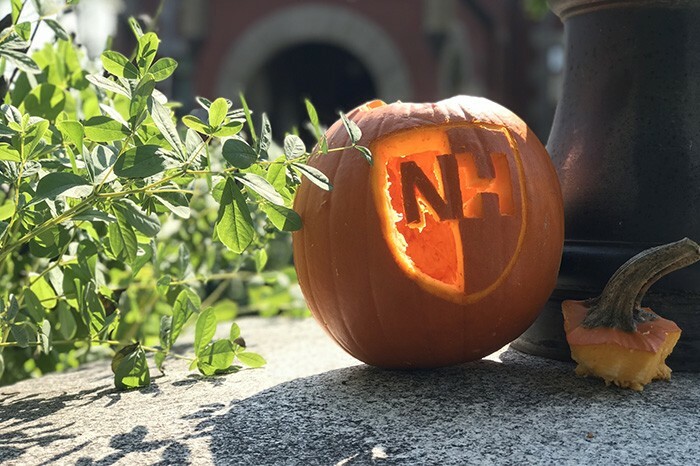 But if you’ve only come for tours, there are a few things you need to know about UNH. Let me introduce you to Wildcat Country! Let me, as a senior, tell you all about UNH. Or at least everything you need to know. The University of New Hampshire is a place where you will learn not only about your major of choice but also about yourself. You’ll undergo more personal growth here during the next four years than at any other time in your life, arguably. You’ll make friends, meet leaders in your field, and get to feel like part of a great family. From day one you’ll see that Wildcat Country has more than a degree to offer you. It offers excitement. You’ll watch the Wildcats take on the University of Maine Black Bears in the Whitt. You’ll hear the crack of helmets as the football team works its way to another NCAA FCS playoff. You’ll be moved by the extraordinary work of the university’s Theatre and Dance program. You’ll laugh at the comedians who visit campus, and you’ll wish that bingo wasn’t just once a month. You, the class of 2020, are coming to campus at a very important time; it is an election year, and that means between August and November 1, you’ll likely see a lot of presidential candidates. And then you’ll see the whole election process start again during your senior year. That’s what happened to me: I came to UNH during the Obama/Romney election year and I’m graduating as presidential candidates like Bernie Sanders, Hillary Clinton, John Kasich, and Ben Carson are coming through campus. Let me tell you, it is quite the experience (you can read about mine here), and it is one that you can really only get at UNH. Your first real day as a Wildcat begins sometime in June during Freshman Orientation, registration for which opens on April 19. This one- or two- day program is filled with experiences to get you ready for move in and the start of your college career in August. During these days on campus you will meet with an academic advisor who will help you choose and register for fall 2016 classes. Once that is done, you’ll be handed a printout of your course schedule and be sent on your way to get your student ID photo taken. While taking care of some paperwork, you’ll learn even more about what UNH has to offer while meeting other new students who are just as excited to be coming here as you! So get excited, you’re a Wildcat now! It is the weekend before classes begin and you are officially a college freshman. Welcome to Wildcat Days! You just took the next big step in your life. Over the next few days, before the upperclassmen move in, campus is yours. But that doesn’t mean you have nothing left to do before classes begin. In the midst of unpacking and getting to know your roommate, there are a whole bunch of activities and events planned to get you ready for campus life. On the first day, you can expect to say goodbye to your family before your class picture and dinner with your hall. Later, you’ll learn the rules and meet your resident assistant. Then it’s off to see WildACTS perform some skits about campus life. The next day, you’ll meet with your college(s) and departments. Then it’s time for the Cat Pack Rally, where the Cat Pack Captains will teach you all you need to know about cheering on your Wildcats. That night, after a barbecue, it’s time for Jukebox. This is a great event that you should not miss. You’ll get some free UNH gear, make memories, and start finding out about the clubs on campus. From this point on, your Wildcat experience is up to you. Now, all of that may seem a bit much over just a few days. But you can start studying right now! Here are a few terms that you’ll want to know when you get to campus! 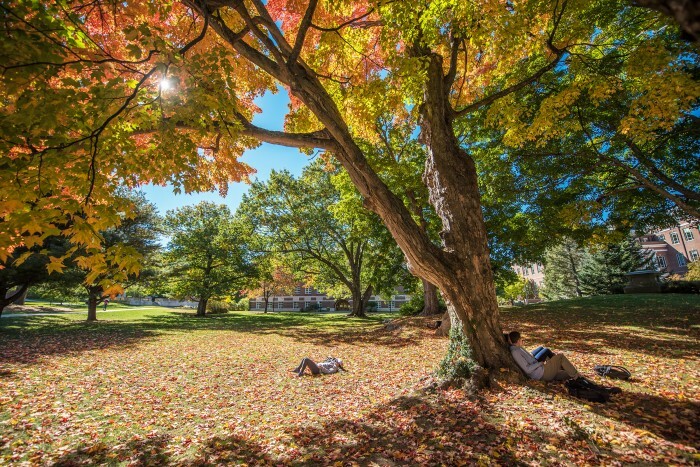 This is, truly, the heart of campus. Bored? Stop by anytime. Inside you’ll find the movie theatre, game room, lounges, major campus events, and much more. There’s also Union Court, our campus food court, where you can grab smoothies, sandwiches, burritos, salads, and a other choice selections. On the lower level there’s the UNH Bookstore, where you can find anything from emergency dorm needs to textbooks and school supplies and whatever UNH gear you can think of. Connected to the MUB, this is the main dining hall on campus and it just went through a major expansion. Inside HoCo, you’ll find students carrying around trays of food as they choose from the many selections offered at the grill, pizzeria, vegan, sizzle, deli, or stir-fry stations. Grab a seat and find exactly what you’re craving from the many options. Don’t see something you want? You can easily make your own waffles, grilled cheese, or anything you can think of with the help of the waffle irons and panini presses! Home to the all-day breakfast and late night hours, Philly offers great options for the many students living and learning nearby. This smallest dining hall on campus features daily quesadillas and made-to-order sandwiches. Yum! A late-night favorite for students living in the Hills and Valley area. If you’re looking for something greasy and different from what the other dining halls are serving up, this is the place for you! Wildkitty also features a convenience store and grab-and-go meals. This is where large events like concerts happen on campus and where Wildcat fans gather for hockey games. Connect – A pre-orientation program that offers multicultural, low-income, first-generation college students a jump start on college life. 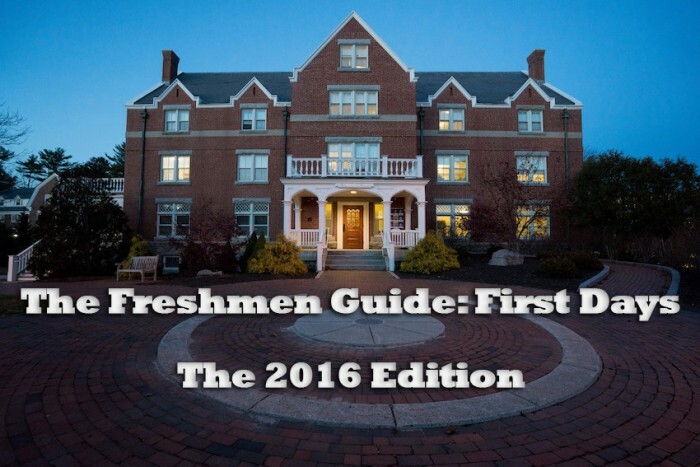 Note: This is an updated version of the Freshmen Guide written in 2014. The original series can still be found on UNHTales.com. This updated series will include new and updated information for the class of 2020. Older PostAre We Throwing Away More Food Than We’re Eating?